The exclusive Australian Distributor for Naiad Dynamics ride control systems. 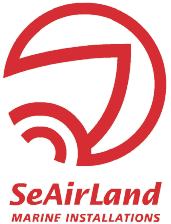 Offered through our sister company SeAirLand Marine is a complete installation and after-sales service of your equipment. Odessa Marine Pty Ltd, the Exclusive Australian Distributor for Naiad Dynamics ride control systems. While Odessa Marine is relatively new to the Australian Marine Industry it is headed up by Hadyn Griffith. Hadyn has been in the professional marine industry for 38 years, 28 of these years representing Naiad Dynamics ride control systems. Clayton Hanley the director/service engineer ensures the Naiad Dynamics equipment is serviced to the high standards set by Naiad Dynamics. Clayton works with the Naiad Dynamics engineers to ensure he is up to speed with the latest technology Naiad Dynamics offer. No matter the size of your vessel, we have the right equipment and services for you. Legendary reliability and durability combined with remarkable performance and worldwide customer support make NAIAD Stabilizers the first choice among the world’s most experienced yachtsmen. NAIAD thrusters offer so much more than typical thrusters. Highly skewed seven-blade stainless steel propeller for quiet, highly efficient performance. Highest quality materials and workmanship throughout. Robust design for the commercial market, made affordable for the discriminating yachtsmen thanks to NAIAD’s in-house state-of-the-art manufacturing expertise. From our landmark Hydro-Mechanical Gyroscope (HMG), which set a new standard in yachting comfort and revolutionised the small yacht industry, to our advanced electronic Angle, Velocity, Acceleration controls, NAIAD has the perfect control to match your system performance needs. NAIAD is a leader in turnkey hydraulic power systems throughout the marine industry for over 25 years. Supplied in two designs for Commercial/Military Ships, and Luxury Yachts. Over 35 years of professional Marine experience and over 25 specialising in Naiad Dynamics control systems. Also offered through our sister company SeAirLand Marine Installations is a complete installation service, as well as after sales service of your equipment. Clayton Hanley, the director/service engineer, ensures the Naiad Dynamics equipment is serviced to the high standards set by Naiad Dynamics. Clayton and the team at SeAirLand work with the Naiad Dynamics engineers to ensure they are in constant process improvement to align with the latest technology Naiad Dynamics continue to offer. Naiad Dynamics is the fusion of legendary stabiliser and Ride Control System manufacturers Naiad Marine Systems®, Maritime Dynamics, Vosper Motion Control®, Vosper Stabilisers, VT Marine Products and KoopNautic Holland. The full integration of these jointly-owned businesses occurred in early 2009 when Naiad Maritime Group, Inc acquired all global operations and reorganised them as Naiad Dynamics with interlinked facilities across the USA, in the UK and Netherlands. The global business draws on a wealth of experience and advanced technologies, operating as a completely unified entity, from research & development to worldwide service.